Toyota India launched the 11th generation Toyota Corolla Altis at a price tag of INR 11,99,000 for the base petrol and INR 13,07,324 for the entry-level diesel (Ex-showroom New Delhi). A total of nine variants are on offer, including five petrol and four diesel variants. Mated to a common six-speed manual transmission, the saloon also comes with an autobox option on the top petrol trims. The vehicle comes equipped with projector headlights that incorporates LED & clearance lamps, while the rear offers LED taillamps. The Altis wears 15-inch standard as well as 16- inch alloys in top-of-the-line trims. The car offers dual tone dashboard in beige and black with piano black finish. The vehicle gets beige leather upholstery while the steering wheel gets black leather wrap and silver inserts. The multi-functional steering wheel offers controls for Bluetooth phone and audio along with cruise control. The car offers voice enabled 7.0 inch touch screen infotainment system with USB, AUX-in and Bluetooth phone connectivity. The infotainment screen also sports built in sat-navigation and doubles up as reverse parking camera screen. The vehicle offers smart key-less entry with engine start-stop button. The driver seat is 8-way electronically adjustable while the rear seats offers first-in-class rear seat reclining. The car also offers rear reading lamp, rear power socket and rear sun shade. 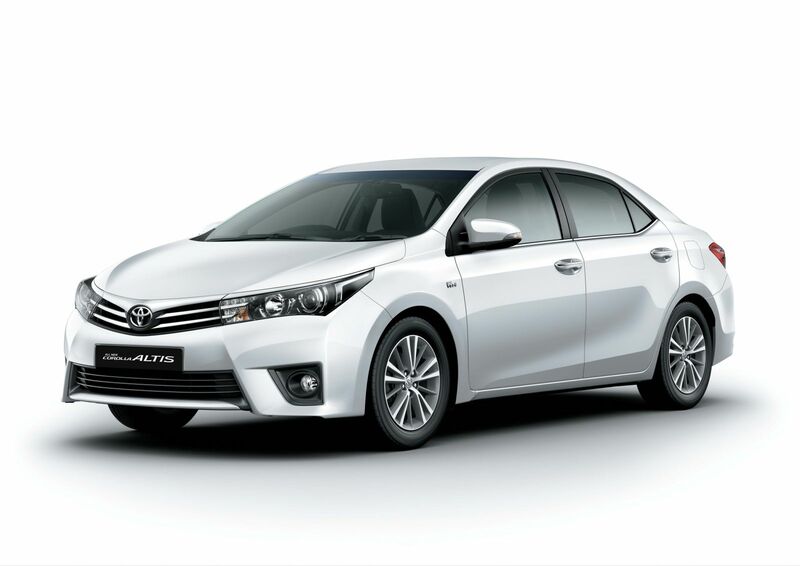 The Corolla Altis offers dual SRS airbags along with ABS & EBD with brake assist as standard. Other features include clutch start system, engine immobilizer. The petrol Corolla Altis is powered by a 1.8 liter dual VVT-i engine producing 138.1bhp at 6400rpm and peak torque of 173Nm at 4000rpm. The diesel engine is the 1.4 liter D4D diesel churning out 87.2bhp at 3800rpm and 205Nm of torque in the range of 1800-2800rpm. The petrol motor comes with two gearbox options – Super CVT-i with 7-speed Sequential Shitmatic AT along with steering mounted paddel shifters and 6-speed manual. The diesel comes only with 6-speed manual. Toyota Corolla China-spec Vs US-spec: What’s The Difference?